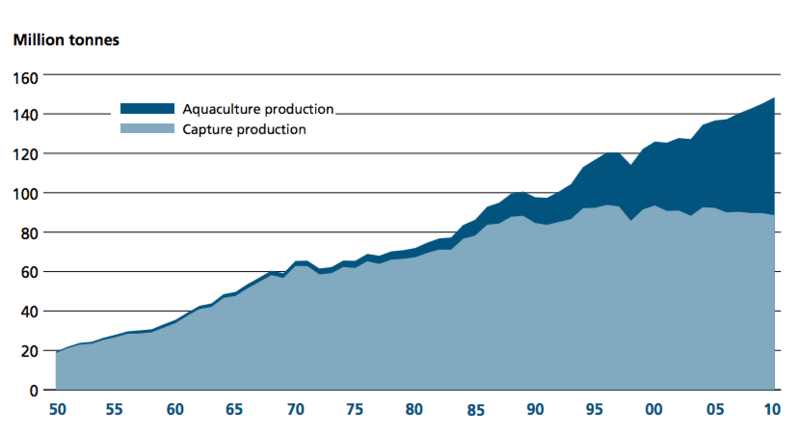 Because of the increased demand for seafood but the environmental, political, and social concerns regarding former aquaculture practices it was apparent to us that MLML could play a key role in helping to establish sustainable, healthy, and productive aquaculture practices for California and elsewhere. So, on the old shorelab site we have built a new Aquaculture Facility at MLML with funding from the Packard Foundation and our own internal funds. San José State University also provided financial support and managed the project, with the new building dedicated on 22 August 2014 (Figure below). Increasing the amount of seawater we pump from 300 gallons per minute (GPM) to 450 GPM with financial assistance from MBARI who also receives a portion of the seawater. Adding a new trailer with computer controls to allow precise control of pH in 20 new tanks to assess the impacts of changing ocean acidification on rockfishes (funding from NSF to Scott Hamilton). With funding from Anthopocene Institute and a collaboration with Kerstin Wasson (Elkhorn Slough National Estuarine Research Reserve) we have started a hatchery for the native Olympia Oyster with the intent of restocking impacted populations of this oyster in Elkhorn Slough and possibly later in San Francisco Bay. Use this link to read more: https://www.wildlife.ca.gov/Science-Institute/News/how-aquaculture-will-shape-the-future-of-olympia-oysters-at-elkhorn-slough. Opening of the aquaculture facility at the shore lab at MLML. 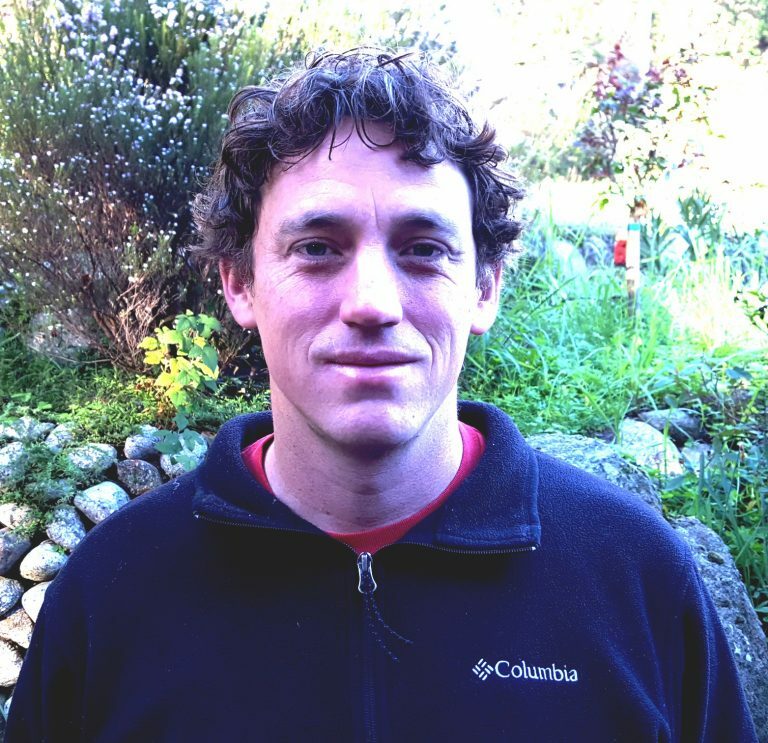 Luke’s research interests broadly involve the development of sustainable aquaculture. Specifically, in working with industry to apply advanced and emerging technologies to help solve issues limiting aquaculture growth. Luke has used biotechnology to study physiological systems in marine organisms including reproduction, bio-mineralization, toxicology, and nutrition. Current research interests include: (1) using high-throughput sequencing and bio-informatics to develop biomarkers for valuable traits in cultured aquatic organisms, and (2) development of alternative fish-free feeds. He has experience with fishes, shellfish, and seaweeds. Monterey Abalone Company is using our facilities for their hatchery and nursery before the young abalone are sent off to their Monterey farm for grow out. Monterey Bay Seaweeds farms a number of sustainable seaweed species at the MLML Aquaculture Facility that then make their way to high end restaurants along the west coast. Anago-USA has tanks at MLML housing hagfish before they are sent off to markets in Korea and elsewhere. They likely also will be funding a number of research projects for students. TwoXSea and Bill Foss have donated an experimental fish-feed mill that will allow us to experiment with the composition of various fish feeds. The ultimate goal is to greatly reduce the amount of fish products used in producing fish meal to the point where we have removed fish entirely from the diet. This mill will be one of only two on the U.S. west coast, and will allow MLML to lead the way in developing fish-free pellets for culturing marine fishes. We are in the final stages of developing a Center for Aquaculture in collaboration with the San José State University. Provide education and resources for the new entrepreneurs in aquaculture. We expect MLML to help lead the way for sustainable, restorative aquaculture done the right way in California. Check out the MLML Aquaculture Facility website for more information.